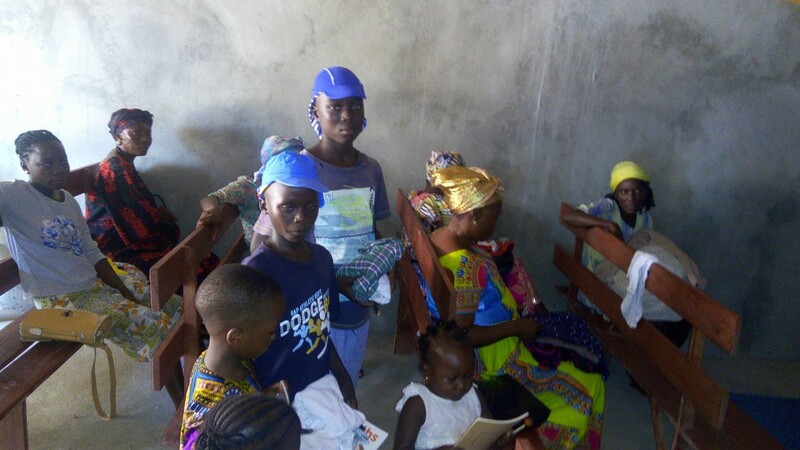 The Sayers Common Community shop gave a grant of £400 to help a local individual’s (Charlotte) travel costs when she visited Sierra Leone to help with the charities that she has contact with. Charlotte gathers donations from Hurstpierpoint and Sayers Common, from private individuals, the Hurst Charity Shop, and the WI in Sayers Common. 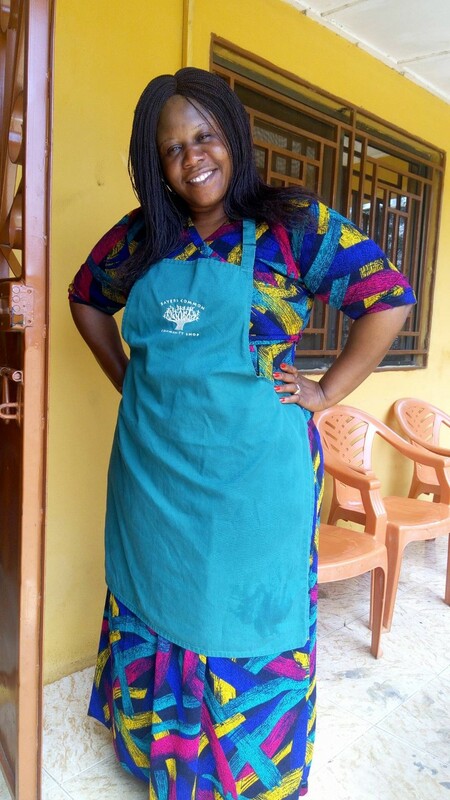 Below shows a picture of Martha Kanu-Sourie wearing the apron from the Sayers Common community Shop. It was sent in a parcel to Sierra Leone for the children that Martha looks after in Bo, Makeni and Freetown. Martha is a lady who worked for Street Child that Charlotte met when she first visited Sierra Leone about 5 years ago. 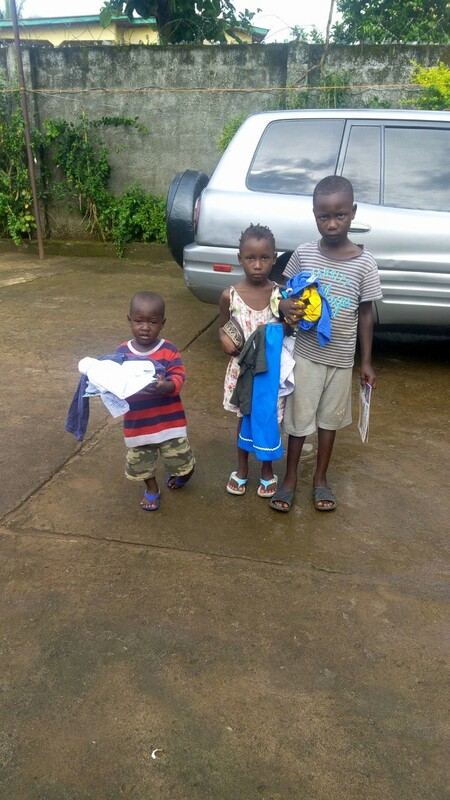 The children are Ebola orphans and aids victims and she clothes and feeds them as part of her extended family. The parcel included donated first aid supplies, clothes, toys and books for the children, many of whom do not go to school. We have supported Martha over the years by sending many parcels via Parcel Pete and also wired money through Western Union to her which buys food and medicines. Charlotte has visited Sierra Leone many times over the last 6 years and has linked up with another Charity called Happy Kids and Adolescents, and we will continue to help sending these parcels as long as we can. If anyone wishes to sponsor her or help financially with this vital contact then please contact Jane Hill via the Community Shop. Thank you so much to the Community Shop for helping Charlotte and for all of you who donate so generously.